We accept major credit cards including Visa, Mastercard, Solo, Visa Debit and Switch. Personal Cheques (allow 4 working days), Bank transfers. Your order will be automatically acknowledged upon receipt. All prices quoted include UK VAT. Providing the items are in stock at the time we receive your valued order the goods will be dispatched 4 working days. Tracking Numbers are supplied by email when the goods leave our warehouse. All items are fully checked, tested and set up to professional standards before dispatch. £4.95 plus VAT is the standard delivery charge for most parts of the UK. However, delivery charges for the Channel Islands, Offshore islands, Highlands, Scottish Islands and certain areas of the UK may vary according to the size and weight of the parcel. Special delivery charges will be quoted on request from our customers, please ring our office on 01270 630280 for delivery prices. Free delivery and standard pricing excludes any large or heavy items. Orders placed online over £50, excluding VAT, to most parts of mainland UK have free delivery, this excludes any large or heavy items. If you are not completely satisfied with your purchase, simply return it in its original condition within 4 days, we will exchange it or replace it (postage non-refundable). If goods have been ordered in error, a returns authorisation must be requested. The relevant reference number must be quoted on accompanying paperwork. If items are returned as unsuitable, the Buyer will only be entitled to a refund on the item purchased and not the original postage paid. Carriage for any alternative items is to be paid for by The Buyer. The Seller accepts no responsibility for items lost in transit. It is recommended that a receipt of posting is obtained and it is the Buyers responsibility to ensure adequate insurance is purchased to cover the items being returned. Refunds on large/heavy items will be subject to a minimum 15% handling charge. Items received with broken seals will incur a 10% handling fee and those without original packaging will be subject to a 25% re-stocking fee. Please note professional electrical items can incur a 30% restocking fee due to having to be fully checked before restocking by a qualified engineer. Collections for unsuitable items will be subject to a minimum 20% handling charge. Collection of goods with a value of £50.00 or less and parcels returned to sender will be subject to a minimum charge of £5.00 per parcel. All salon & beauty furniture made to special order (Furniture chosen in your own choice of colours), custom made or special order products cannot be returned. Porcelain basins are non returnable. Items sent direct from the manufacturer are not returnable if they are unsuitable. This does not affect your statutory rights. For more information please contact us. Any goods returned damaged due to poor packaging will not entitle The Buyer to a full credit/refund. We promise to acknowledge and deal with all complaints by return . We undertake to handle complaints in a fair and honest manner, informing you of the result in a clear manner. Direct Salon Supplies Limited, Unit 5a, Fox Industrial Estate, Holyoake Ave, Blackpool FY2 0QX. 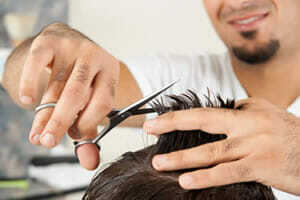 Telephone 01270 630280 or email complaints@directsalonsupplies.co.uk. Calls are charged at normal BT Rates and lines are open between 9am to 5pm Monday to Thursday, or 9am to 3pm Friday. To arrange for recycling, please return your electrical item to us with a covering letter.